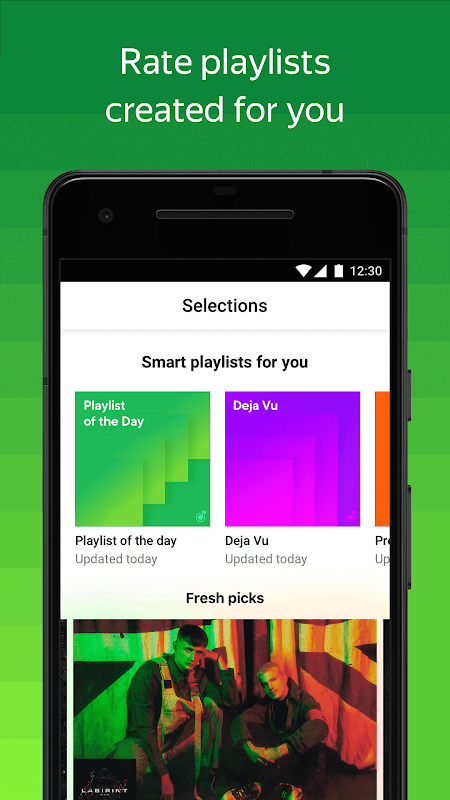  Smart playlists, new releases, and curated selections. Download your favorites. 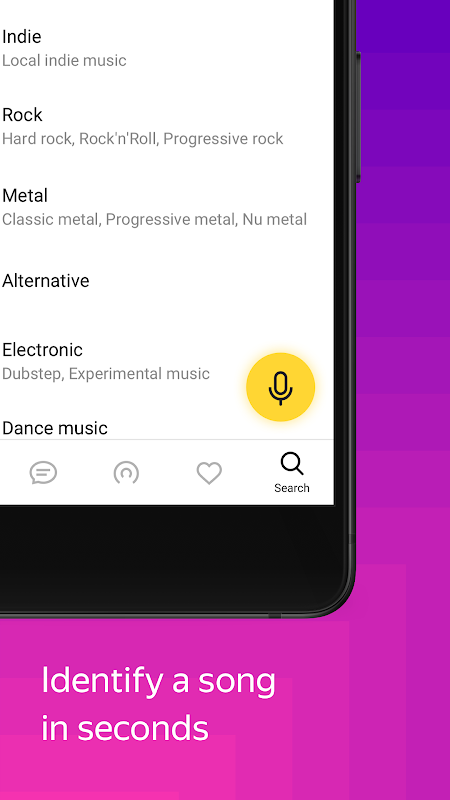 Discover what’s new and amazing in Yandex Music! ❶ Tens of millions of tracks ❷ Curated selections for any occasion ❸ Hot new albums and singles ❹ New personalized recommendations daily ❺ HQ sound ❻ Create and share playlists of your favorite tracks ❼ Play music with or without an internet connection ❽ Radio in Yandex Music Don’t miss out on anything with the most important new releases, selected by our editors. Listen to Premieres – new music, selected by a neural network in accordance with your tastes, Hype – tracks that will be playing everywhere tomorrow, as well as the most highly anticipated tracks in New This Month, and genre-specific playlists that collect the most iconic tracks of a given genre. Take advantage of a few hours of free music compiled for you with our smart playlists. Playlists are automatically updated and improved according to your preferences. 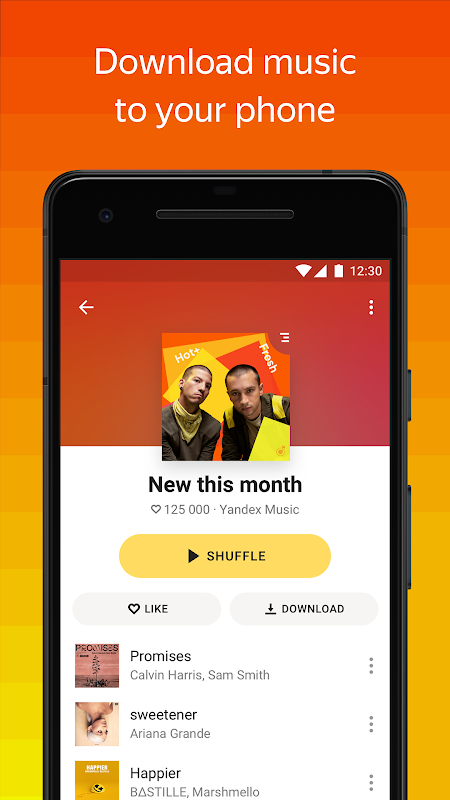 An auto-updated list of the songs that Yandex Music users are listening to right now An updated section of curated selections: songs by style and year, tracks for different activities and moods, for weekdays and celebrations. Select a mood, an activity, a favorite genre or era, and enjoy listening to your newly-created station. Mark tracks with a Heart to save them to a separate playlist. Rate more songs to get Radio to play more music that you'll like. 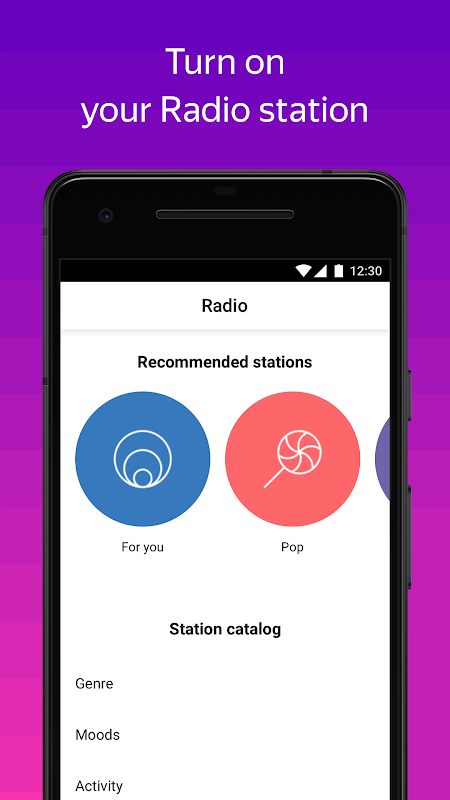 Once the app gets to know you, it will offer you a personal radio station. Hits, new releases, free access to selections — over 35 million tracks. Rock, pop, rap, jazz, R&B, electronic, classical, and world music. This list could keep going indefinitely. Every day, we select music and tracks for you — for example, deep cuts and new releases in your favorite genres — and offer them up for your online listening pleasure. To make Yango Music’s recommendations more relevant to your taste, log in with your Yango account or with Facebook/VK. The app also offers themed selections: soundtracks from TV series, classical music for studying, songs of the 80’s and the 90’s, for relaxation and for working out, road trip rock, electronic music for work, Russian rap, and much more, all free to play online. Create your own selections and playlists by adding tracks straight from the player. Select your favorite artists to get notified about their new releases. 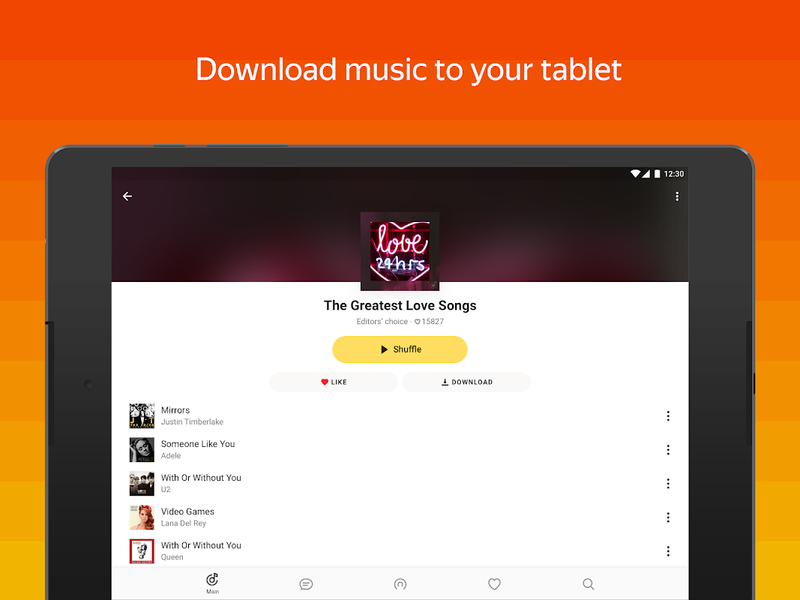 See song lyrics right in the app and sing along. Tracks that are already on your phone that turn out to be in Yango Music’s library will be compiled in a separate playlist. Connect your Facebook or VK account and see what your friends are listening to. Subscribe and get access to the entire Yango Music catalog. Download tracks or whole albums to your phone and play them wherever you want, regardless of whether you have an internet connection. Hear the difference when you subscribe. Turn on HQ mode. 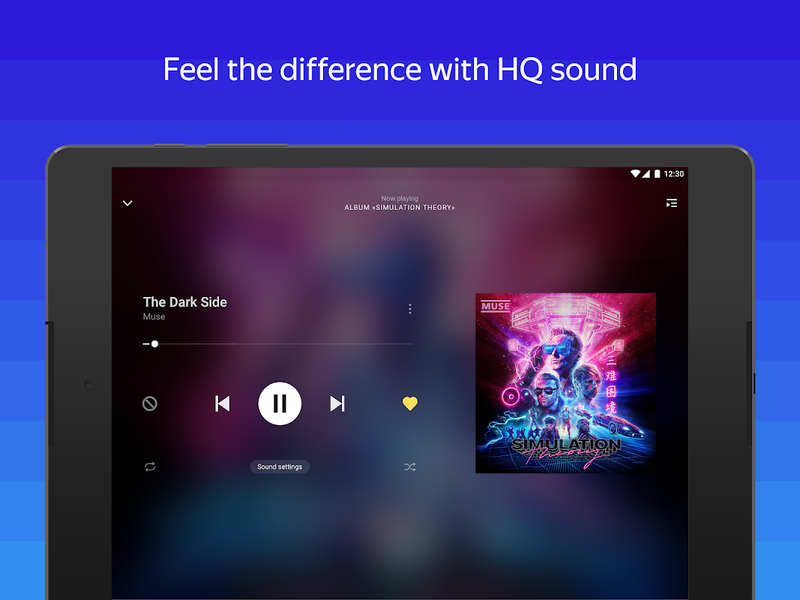 Play and download music with a higher bitrate. Subscribe to get rid of ads in your app. Try Yango Music with no risk – new users of the app get their first month of subscription access for free. 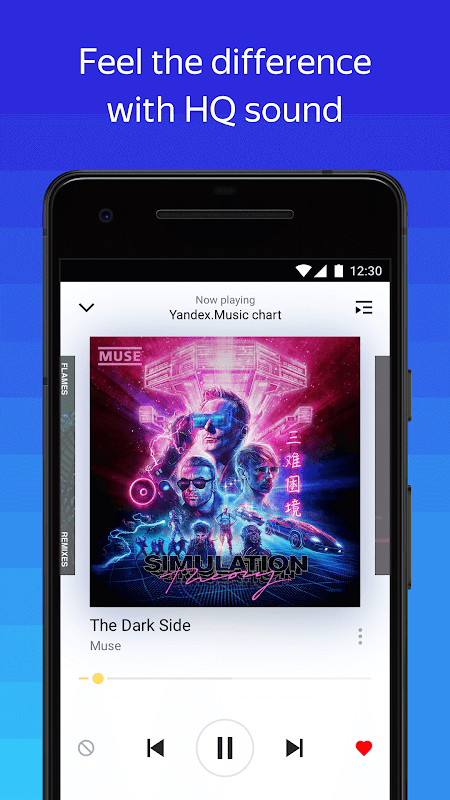  Is Yandex Music — listen and download yours? Claim it!